Carol, working in the male-oriented industry of stock trading, juggles many things every day: the demands of her sexist, bullying boss – and the emotional tussles that come with working with him; trying to see her also-busy boyfriend Ben; her best friend Harriet’s tragic lovelife; her demanding sister Marley, who is engaged and relying heavily on Carol to achieve the perfect wedding; her nightmare parents, who expect Carol to plan their holiday for them and get annoyed if she dares to not help – ‘It’s for your dad’s health, Carol, but if you’re too busy to help out your parents…’) and her sort-of sister Zoe. It’s fair to say that Carol has a full plate; she’s also a complete pushover. Sacrificing her own needs for everyone else’s, Carol is always on the move and often forced to do things she doesn’t want to do. Once Carol finally snaps and turns down the demands of her high-maintenance family, it seems like things can only get better – 2/3 ain’t bad – but when work and her relationship with Ben come under threat too, it seems like her perfect life – and her persona as the perfect girl – that she’s worked so hard to create is all about to come crashing down around her ears. Can Carol get her life back together or is everything she’s worked so hard to keep lost forever? I enjoyed Perfect Girl; I loved the book’s fluid and easy style, and found Michele Gorman’s dialogue witty and her characters well-drawn. But I simply couldn’t get on board with Carol’s attitude and how much of a pushover she was – and as I often note in my reviews, sympathising with the protagonist is half the battle won for the author. I also thought she ended up with totally the wrong love interest – the decision Carol makes feels a little forced and rushed – but that’s purely my opinion (I can’t resist a nerdy coder). Those gripes aside, Perfect Girl is well worth a read; it’s as a good escapist novel with not only lots of humour but an interesting insight into the stock trading industry. 8/10. Not my preferred style, but a classic Kinsella! I’ve always been a big fan of Sophie Kinsella’s novels (perfect chick-lit escapism) but somehow I’ve missed out on Twenties Girl – until it got put into our new work library and I snapped it up. Once I started reading, true to form, Kinsella’s writing pulled me in straightaway and didn’t let go. Unlike her other books, this novel has a supernatural theme. At the funeral of her 105-year-old great aunt Sadie, Lara – who didn’t know her aunt at all, along with the rest of her family, including her super-famous entrepreneur uncle Bill – suddenly hears a voice. And it’s belonging to a girl… who has suddenly appeared in the service room… dressed in very authentic-looking twenties clothes. She’s desperately looking for a necklace, and two things become quickly clear: that the girl is the ghost of Lara’s great aunt, Sadie, and that Lara is the only one who can see her. As Sadie’s pleadings become ever more frantic, Lara stops the cremation in its tracks to give herself time to find the necklace. It seems that Sadie won’t be able to rest in peace until she’s reunited with her beloved piece of jewellery – but finding the necklace isn’t going to be easy, and she hasn’t got long until the funeral is rescheduled. Lara barely remembers Sadie, and she starts on a wild goose chase to find it, with Sadie helping her along the way. 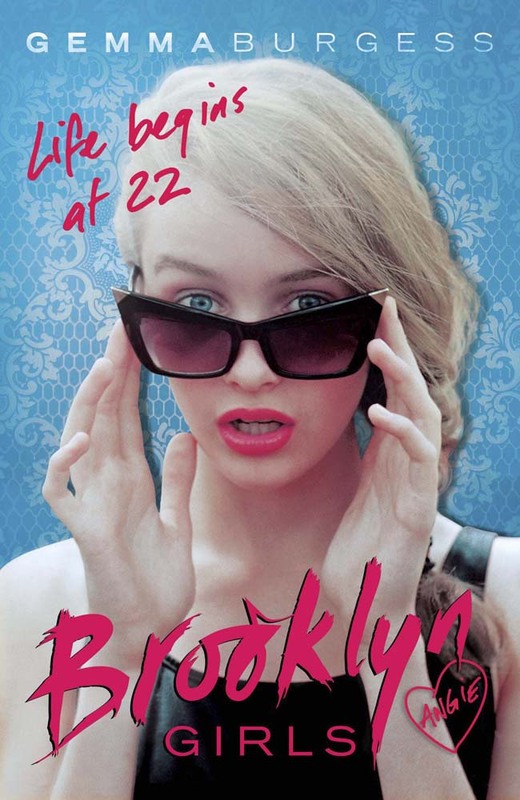 Fun, flirty and witty, Twenties Girl will remind all readers of some important things. First, that it’s never too late to change your fate; secondly, that getting everything you think you want isn’t all it’s cracked up to be; and third – that it’s important to treasure your family (unless they’re evil crooks…) as they’re not going to be around forever. Heart-warming and ultimately uplifting, this is a staple Kinsella read that should stay on your bookshelves. Cover: 6/10. Good use of colour, but way too much going on. 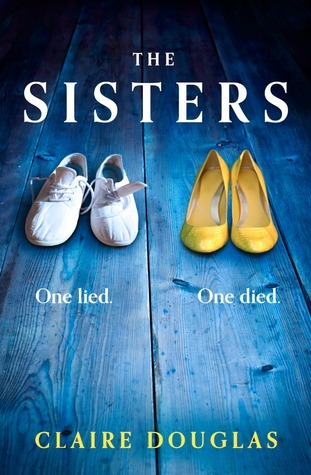 When identical twin Lydia falls to her death, grieving parents Angus and Sarah Moorcroft, grasp at the chance of a new start in Scotland with their surviving daughter, Kirstie. The pressures of bereavement are already sinking the Moorcroft’s marriage when Kirstie suddenly announces that she is actually Lydia – claiming it was Kirstie who died. Is the remaining twin just a desperately sad little girl clinging to a lost sister by pretending to be her? Or are the parents, driven by their unspoken guilt about the night of the accident, desperate to regain the ‘favourite’ twin they thought they’d lost? As Kirstie’s behaviour becomes ever more challenging, Angus and Sarah are forced to consider the horrifying possibility that they have indeed mistaken the identity of their own child. They know one of their daughters died – but which one..? Moving to a remote island, far from bringing them respite, starts to blur everyone’s perspective. As a terrifying winter storm sweeps towards the island, the family, already stretched taut, shatter. Is Sarah going mad or is Lydia back to haunt them? When the storm passes, what will remain? Creepy and compelling, this is the perfect read for a chilly winter’s night. A truly creepy tale of mistaken identity, guilt and grief that takes a young family from London to a remote Scottish island. The Ice Twins is a suspenseful thriller with an eerie setting and enough twists and turns to keep you guessing. Thanks to HarperCollins for the review copy, and to Jane for the review. A quick apology for KCARAB fans as I haven’t been very active in recent months. A perfect storm of moving house, family goings-on and a very busy period at work meant that I had very little to no spare time to read books, let alone review them. I’m planning to come back full-strength in 2016 though; I already have some reviews waiting to be uploaded, and my aim this year is to make more time for reading and share my thoughts on the books I’ve loved – even those I’ve enjoyed a little less. I’m also adding cover votes to each book, as we all contradict the popular, well-worn ‘don’t judge a book’ phrase. If you have any book suggestions for me, please let me know – I love a good romance novel in my downtime, plus a chilling thriller (I’ve really hopped on the unreliable narrator bandwagon) or a good piece of dystopian/speculative fiction (I love Margaret Atwood); even crossover YA fiction (The Book Thief was supposed to be a young adult novel…). I’m also thinking of expanding my blog a little further in terms of reviewing book-based films (often very sadly lacking compared to their paper counterparts) and I’m toying with the idea of writing a novel myself. Working in publishing dispels many fantasies you may have about one day creating your own book, but I feel inspiration nibbling at my brain that deserves to be given air. Thanks for sticking with me during an unexpected downtime and stay tuned! When I received my copy of Techbitch, I was immediately impressed by its production values. Even though it’s just a proof copy, Penguin have gone to town on this book, using a clear acetate cover, with the title and author name, wrapped around the book. When it’s taken off, all we see is the cover image: the New York skyline, which is very fitting for this book, as I imagine it’s the view Imogen Tate sees when she looks out of her window at Glossy – the beloved magazine that she edits. When she comes back to the office following a half-year medical leave, she’s surprised to see an old face – Eve Morton, her once-treasured assistant. But Eve has evolved, into a glossy, tech-savvy, iPhone-wielding ‘Techbitch’ who has been hired by Glossy‘s owners to turn the magazine into an app, embracing the increasingly digital society we live in – a change that has hit the publishing industry probably the hardest. But Imogen has no idea how to tweet something, or Like something, and she thinks a hashtag is some kind of food. How is she going to turn Glossy into an app? While she struggles to embrace all of the new technology surrounding her, she’s also having difficulties with Eve. Once a sweet, grateful girl, desperate to help, she’s now a manipulative, conniving woman who is doing everything she can to show Imogen up whilst she tries to ‘update’ the magazine – even though she’s driving it into the ground by not knowing how Glossy works, not treating her staff properly and trying to do business in a tacky, pushy manner – the exact antithesis of Glossy. Techbitch is a fast-paced, witty read that delivers a satirical attack on our increasingly, sometimes ridiculously, technology-ridden society. With its cast of razor-sharp characters that will make you grateful for your sane (by comparison) colleagues, scatterings of genuine sartorial advice and unputdownable writing, this is an addictive read that should be on every female twentysomething’s shelf. You won’t just love it; you’ll Like it. I love Rainbow Rowell’s books. Attachments was more of a hit for me than Eleanor & Park (slightly too much on the bitter side of bittersweet) and as soon as I started reading it, Fangirl quickly started vying for the top spot. Protagonist Cath is feeling lost and out of place at University of Nebraska, where she has just arrived. Her twin sister Wren is also attending the university, but, tired of sharing everything, she decides to room separately. All Wren wants to do is cut loose and try out new things for herself, but it isn’t so easy for shy, introverted Cath, who feels lost without her perpetual shadow. Avoiding her brusque roommate Reagan and her almost offensively charming boyfriend Levi, Cath retreats, surviving on protein bars stashed away in her room and getting lost in her Fiction Writing class assignments. She also retreats into the world of Simon Snow – the fictional character in her favourite magical book series (Fangirl‘s Harry Potter). She’s Cath by day and Magicath by night, a fan-fiction author with hundreds of thousands of hits on her alternative Simon storyline Carry On, Simon. As Cath’s worries start to stack up – she’s barely leaving her room, her hardly hears from her sister, who seems intent on drinking herself into oblivion, she’s getting in trouble in Fiction Writing for using her fan-fiction stories and, on top of all of that, her dad’s mental health starts to deteriorate. Left on his own back in Omaha – Cath and Wren’s mother abandoned them when they were eight – Arthur Avery takes a turn for the worrying, resulting in Cath rushing home to take care of him. Unhappy with her life back at college, she’s determined to drop out and move home – but her father adamantly refuses. It’s a good thing, too, as his breakdown sparks off a chain of events that will change Cath’s life forever. Can she finally overcome her anxieties and let love in? Will Wren calm down her wild partying ways and start speaking to Cath again – and how will Carry On, Simon end? 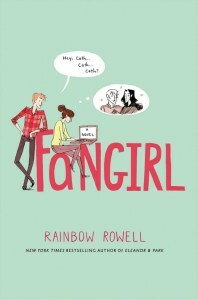 Poignant, tender and ultimately heart-warming, Fangirl will hit the mark with every teenage girl – especially the ones who sometimes don’t think that their hair looks nice enough, that their t-shirts are too lame and that there are cooler things to do in life than drink yourself stupid. Cath is a warm, relateable and – in her own way, with her own collection of charming idiosyncracies and her moral standpoint – model protagonist. Attachments still definitely wins out on the adult fiction side, but Fangirl definitely ticks every box for pitch-perfect YA reading. Earlier in the year, I reviewed the first book in the ‘Brooklyn Girls’ series – Pia – which I unexpectedly loved, and I was excited to get started on Angie. As one of Pia‘s most mysterious, troubled characters, I was interested to learn more about her backstory. Troublesome Angie is a fashionista with a penchant for drama and a slash-and-burn way of dealing with her problems. Her story starts a couple of months before her twenty-third birthday when, over a leisurely breakfast, Angie’s mother announces that she’s divorcing her father – a revelation that leaves Angie feeling hollow. She heads home where she hopes to find one of the girls, but they’re all at work – unlike Angie, they’re all employed. A few days later, Angie is aboard a boat in Turks and Caicos after an invite from her friend Stef and a split-second decision. But some drugs and a few drinks later, Stef isn’t looking so friendly any more… Another split-second decision later, Angie’s jumped off the boat and is swimming back to shore, leaving all of her possessions behind. However, the land she thought was so close is a lot further away. Luckily one of the boat crew, Sam, is paddling after her in a dinghy and rescues her. It seems like he could be the white knight Angie desperately needs. Bolstered by her feelings for Sam, Angie starts to knock other parts of her life into shape. As she gradually starts turning things around, she begins to face her problems head on rather than running away. But when a new revelation threatens to unbalance everything she has been working so hard to achieve, can she keep her cool, or will she resort to her old methods of ‘dealing’ with her problems…? Many thanks to Quercus for the review copy. 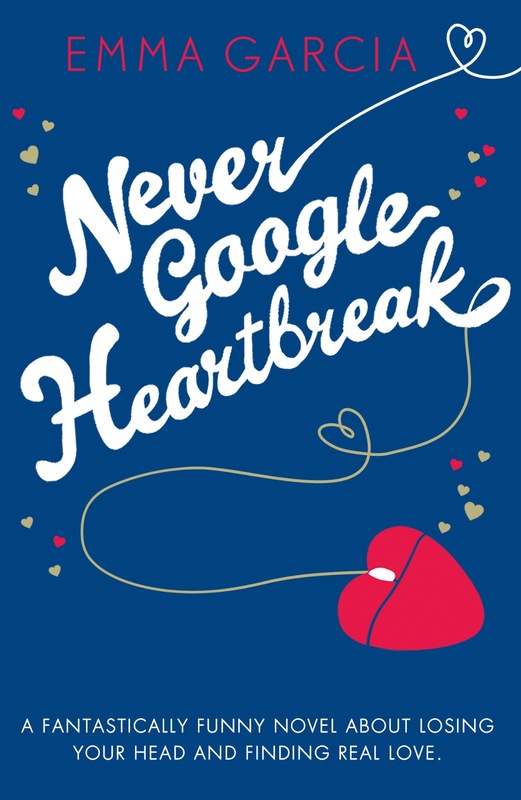 At the start of Never Google Heartbreak, Viv Summers’ hopes are high. She’s about to marry her handsome boyfriend Rob after two false starts and everything is booked and organised. But then deja vu strikes when he announces he can’t go through with it – for the third time. Determined to shock him into finally making it down the aisle, Viv breaks it off and moves out. But what starts out as a tactical plan ends in heartbreak when she realises that Rob has already got a new girlfriend and – horror of horrors – there’s suddenly a flashy engagement ring on her third finger… Suddenly, a temporary break has become a permanent lifestyle choice and all of Viv’s plans to prise him away from his new, beautiful girlfriend end in misery. The rest of her life isn’t going too well either – her job is going down the pan, and her grandmother, who basically raised Viv due to her noncommittal, absent parents, is starting to experience ill health. Many thanks to Hodder & Stoughton for the review copy.